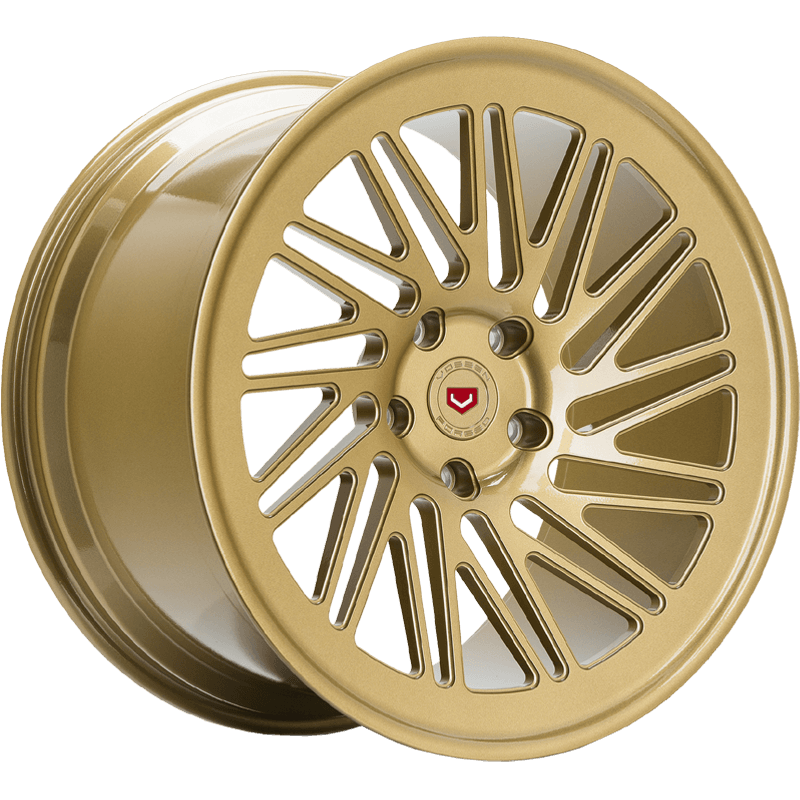 Wheel pictured in Gloss Gold. The Vossen Forged: LC-105T Wheel and Lip Concept Series is aimed at emulating the lip transition of a multi-piece wheel while maintaining a single-piece monoblock forged construction. All Vossen Forged wheels are machined using Vossen’s proprietary forging design. In order to provide any vehicle with the most efficient spoke profile, our forgings are engineered with extra material on the face in order to accommodate everything from flat to super deep concave profiles. This proprietary forging design allows us to produce an 8.5″ width with maximum concavity equal to that of a 12.5″.